The Empire Collection by Belle Etoile defines Art Deco glamour with a contemporary twist. Luxurious mother-of-pearl on pave-set sterling silver creates an opulent yet refined statement for the ages. Rule the spotlight with the Empire Collection. 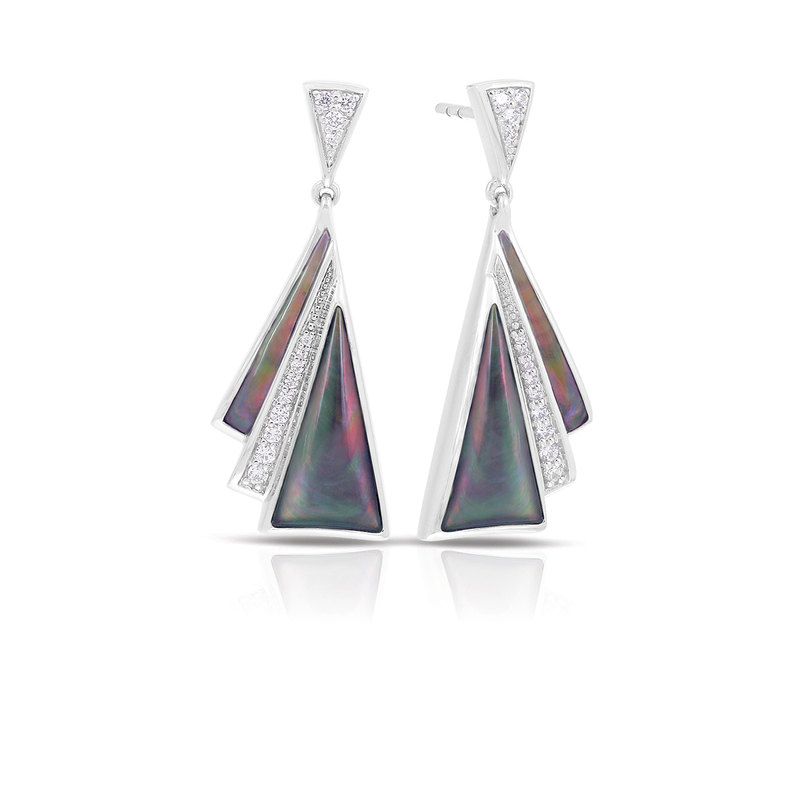 Description: Mother-of-pearl with white stones set into rhodium-plated, nickel allergy-free, 925 sterling silver.